My name is Nakuu and I arrived at Ngamba in 2002. 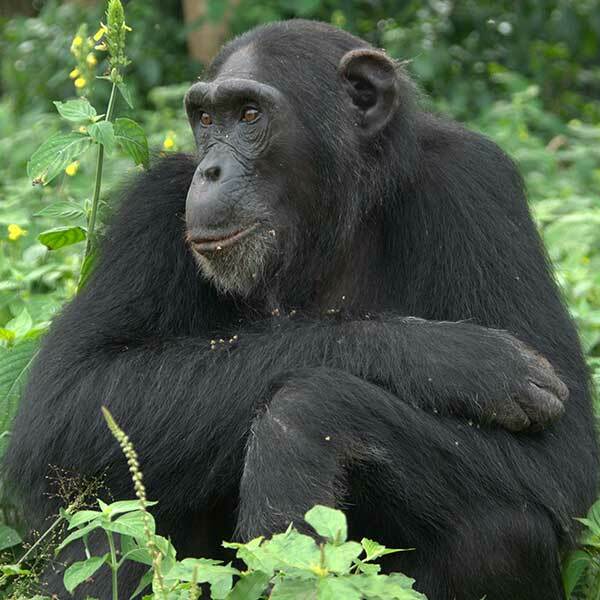 My name actually means ‘sorrow’ in Lugandan because when I first arrived the caregivers were very sad over the loss of another chimp and also sad because I had been taken from the wild. I was being held by a solider but after he read an article about chimpanzees and that it is illegal to keep us as pets, he turned me over to the Uganda Wildlife Authority. My best friend in Nani because we spent 5 months together in quarantine before arriving at the island.